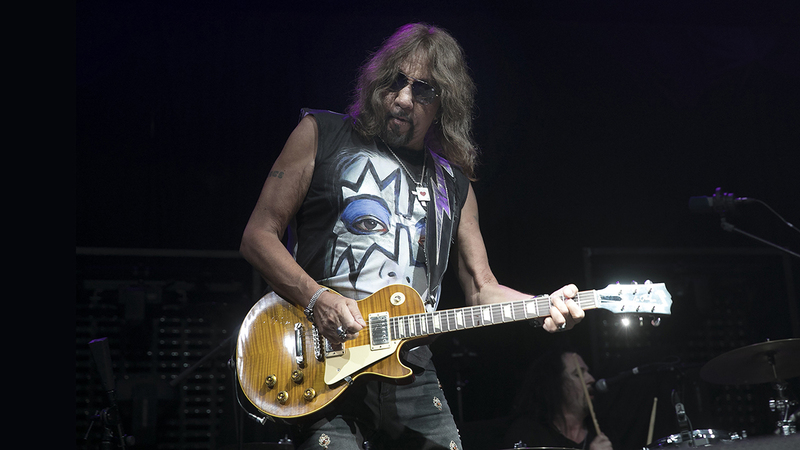 Legendary KISS guitarist and vocalist, Ace Frehley will return to the F.M. Kirby Center on Saturday, June 29 at 8:00 p.m., presented by Rock 107. Tickets go on sale Friday, March 15 at 10:00 a.m. and are available at the Sundance Vacations Box Office at the F.M. Kirby Center, online at www.kirbycenter.org and charge by phone at (570) 826-1100. A Kirby Member pre-sale begins Wednesday, March 13 at 10:00 a.m. Here are a few things you probably know about Ace Frehley: He’s the original lead guitarist for KISS (which he co-founded in 1973). He was also their best—his song-within-the-song guitar solos are as much a part of KISS as the band’s seven-inch platform boots. And he has always been the coolest member of KISS—rock ’n’ roll swagger, laid-back, mysterious—just ask Tom Morello of Rage Against The Machine, or Naoko Yamano of Shonen Knife, or Abbath of Immortal. Heck, even people who don’t like KISS still love Ace. What you may not know is that Ace Frehley has not been a member of KISS since 2002, when he left his second tenure with the band (there’s a “spaceman” currently playing leads for the band, but it’s not Ace). In his time away from KISS (1983-1996, and 2002-present), Frehley has put together the most successful solo career of any member—current or former. And he is currently on a roll. Ace recenty embarked on his next musical journey with Spaceman , his third solo outing in four years. Of all Ace’s post-KISS recorded output, Spaceman might be the closest link to his widely acclaimed 1978 solo record, both in spirit and execution. Frehley played all of the guitar parts on Spaceman , as well as bass on all but two songs. Longtime drummer Anton Fig, whose friendship with Ace began in that 1978 record, also appears on “Off My Back” and “Pursuit of Rock and Roll” (longtime collaborators Scot Coogan and Matt Starr also play drums on Spaceman ). One listen of the opener “Without You I’m Nothing” should be a dead giveaway that mighty dinosaur growl of a bass tone belongs to Gene Simmons, who co-wrote that song, along with “Your Wish Is My Command,” with the Space Ace at Frehley’s home studio in Rancho Santa Fe, California. His reconnection with Simmons and fellow KISS vocalist-guitarist Paul Stanley (who joined Ace on a cover of Free’s “Fire and Water” for 2016’s covers LP Origins, Vol. 1 ) might be chalked up to the fact that Frehley has been sober for more than a decade (he celebrated 12 years of sobriety in September). Ace’s clean living no doubt has a lot to do with his productive streak, which began with the release of his top 20 Anomaly album in 2009, his top 10 Space Invader LP in 2014 (a first for any KISS member); and continues with Spaceman (a title suggested by Simmons himself).